Botanicals: 15 including juniper, cardamom, coriander seeds, grains of paradise, orange peel, lemon peel, cobnuts, gorse, oak moss, honey, rosehips, hawthorn berries, bay laurel, poppy seeds. 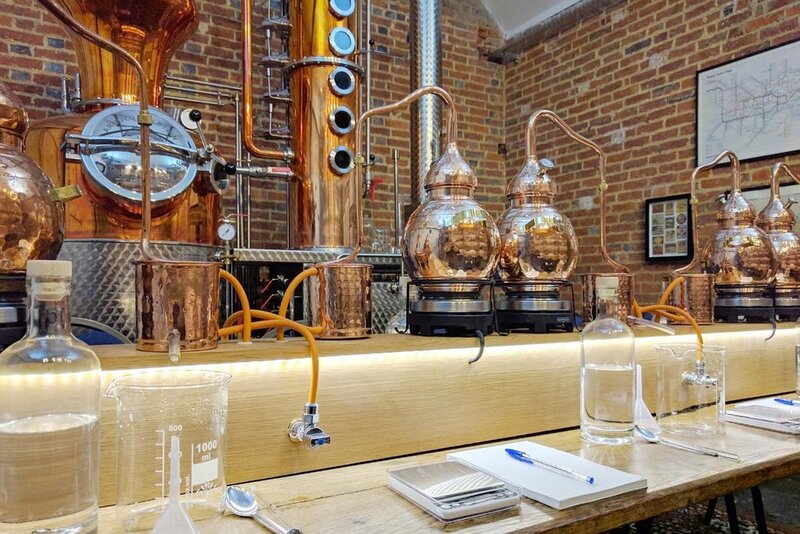 Greensand Ridge London Dry Gin is produced in-house with 15 botanicals, including eight local botanicals that grow within a mile of the distillery in the fields, woods and orchards beneath the Greensand Ridge. These are combined with 7 carefully selected classic botanicals such as juniper, cardamom, coriander seeds, and citrus peels. Greensand Ridge use advanced technology and 100% renewable energy and also work with Kent's farmers to reduce food waste at the farm gate by fermenting and distilling quality produce that supermarkets won't take. For another Kentish gin, try Anno Gin. You may also like Conker Gin.